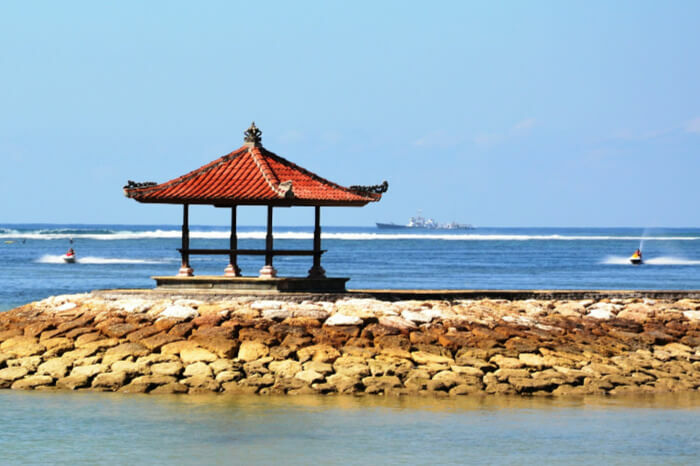 Nusa Dua is a gorgeous enclave of luxury resorts and stunning beaches in Bali. The area was developed as an exclusive spot for five-star luxury hotels and all-inclusive resorts. 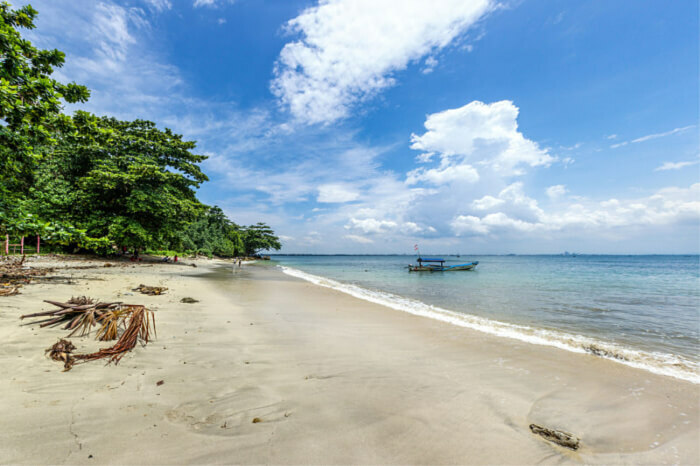 Located on the Eastern Coast of the Bukit Peninsula is known for its calm sea, clear waters, and a bunch of fascinating beaches near Nusa Dua. All the beaches in the area are well-maintained by the hotel properties and hence are some of the cleanest ones in all of Bali! These beaches are characterized by stunning cliff views and clean and shallow waters suitable for swimming and snorkeling. 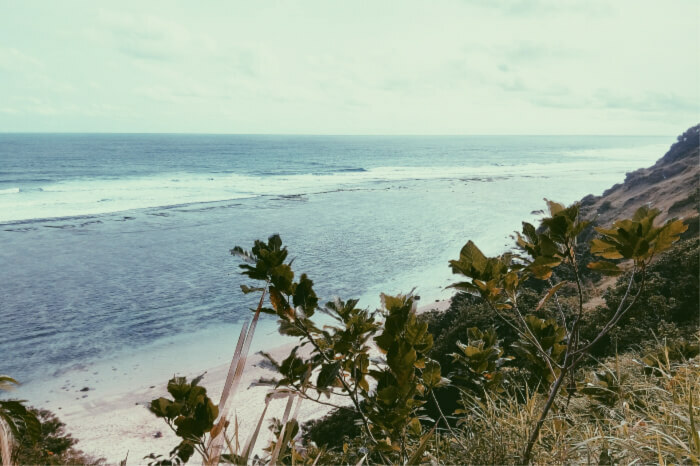 Here is a list of the shores near Nusa Dua which you can visit for a day of water fun and relaxation. If you are searching for family-friendly beaches, then look no further than the Tanjung Benoa Beach. Along the Benoa Bay, the white-sand beach is known for its calm waters that are perfect for water sports activities. Many activities like parasailing, banana boat, waterski, jetski, and snorkeling can be done in these waters. 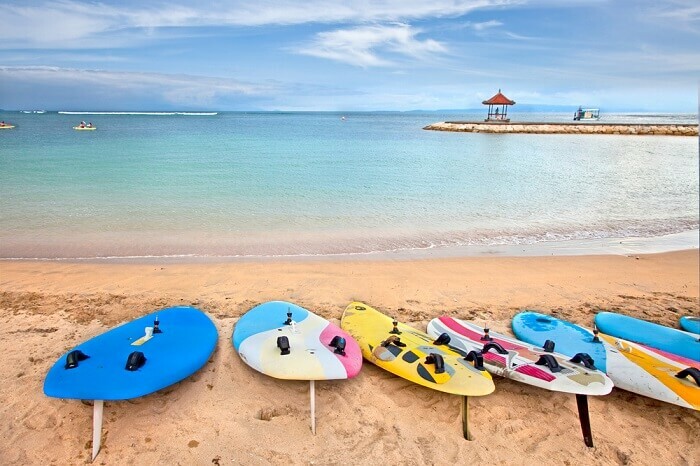 In fact, the government of Bali has declared the Tanjung Benoa Beach as a Marine Sports Centre. You shouldn’t miss out of the glass bottom boat; it’s perfect for families with little kids! The Samuh Beach is known for its adventure sports and thrill seekers can enjoy activities like parasailing, banana boat ride, kayaking and snorkeling in these calm waters. The beach itself is white sand and beautifully kept by the hotels in the area and is ranked among the best beaches near Nusa Dua. The Samuh beach is highly regarded by the locals who conduct the Melasti ceremony here annually. The waters around the beach are devoid of pollution and have a thriving aquatic life thanks to the many conservation efforts in the region. Mengiat Beach is one of the best beaches near Nusa Dua Bali to catch the sunrise. The east facing beach is perfect to watch the sunrise, and the calm waters are irresistible to swimmers. 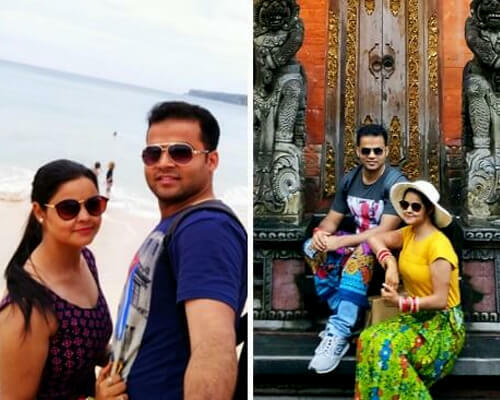 The beachfront is lined with luxury hotels like St. Regist, Ayodhya Hotel, Grand Hyatt and Westin, which ensures that the beach is taken care of and kept clean at all times. The Mengiat beach is calm unlike the busy beaches of Kuta and ideal to settle in with a book. 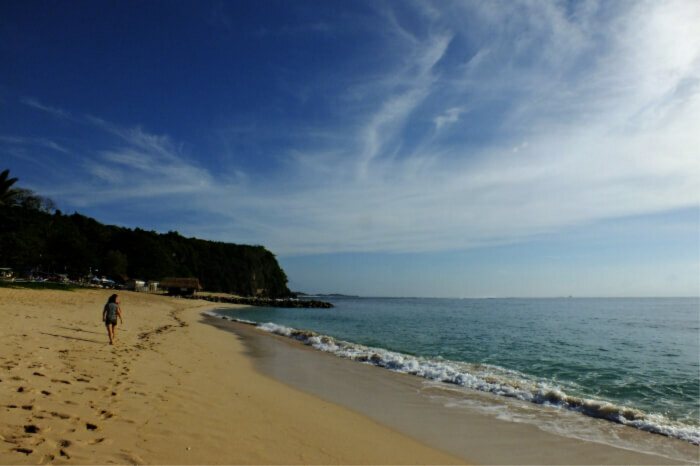 The Geger Beach Nusa Dua is one of the most popular beaches in Bali and known for its stunning golden sand. 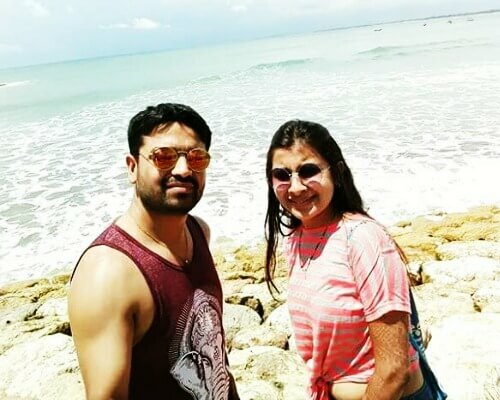 The seascapes with the clear blue waters, golden sand and the verdant vegetation on the shore are beautiful and perform a great backdrop for photographs. There is also a pretty temple on a cliff nearby known as the Geger Beach. A popular resort, Mulia Bali, also opens out on the beach but most of the Geger Beach is accessible to all. You can find surfboard renting shops that you can rent from and lots of local eateries suitable for a quick bite. 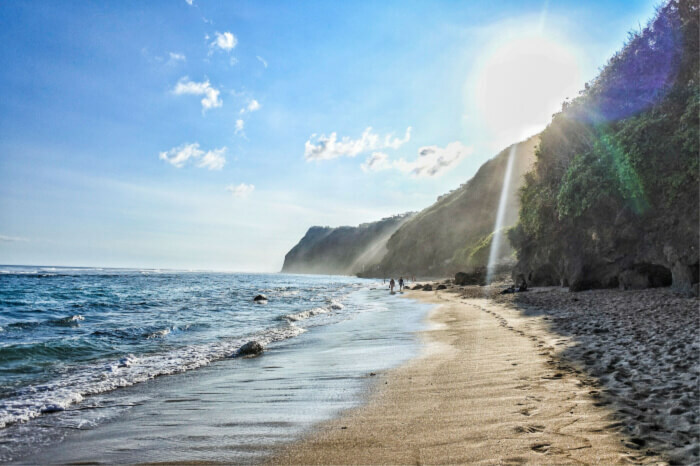 White sandy beaches, palm trees, wooden boats anchored on the sand and exotic resorts looking out on the beach, that’s the idyllic view of the Sawangan Beach in Southern Bali. The beach has calm and warm waters that are ideal for swimming, but if you are not up to the challenge, then you can walk down the long beach which has several resorts like Hilton, Ritz-Carlton, and Kempinski lined up. 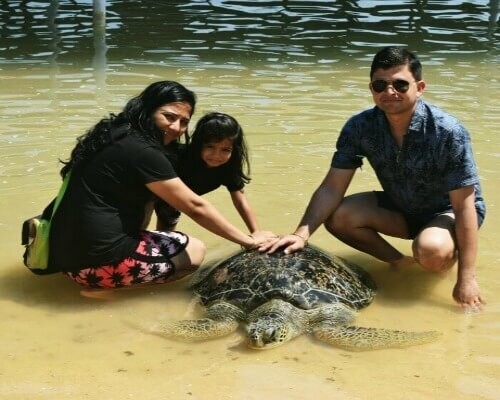 In the turtle nesting season, you can even find eggs in the sand, the hotels in the area ensure the turtle hatchlings are cared for before leaving them into the water. 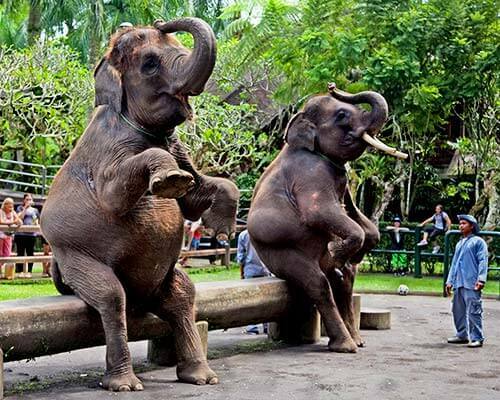 Suggested Read: 5 Popular Trails That Make Trekking In Bali Beyond Adventurous! The Gunung Payung Beach is another secluded beach near Nusa Dua. 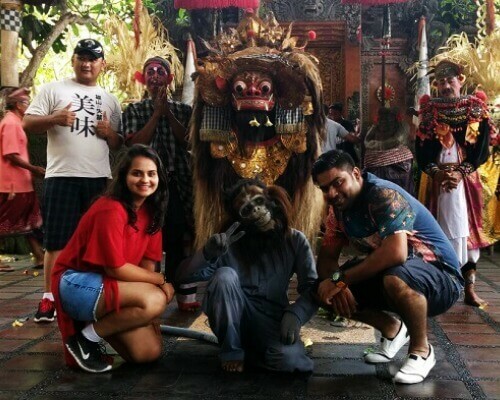 The area is popular among the locals as there is a temple on the cliff overlooking the beach by the same name. 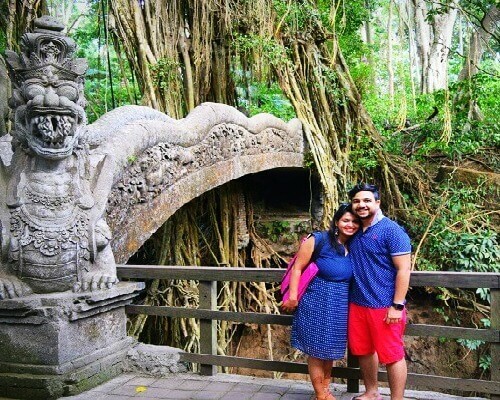 You can make a quick stop at the temple before heading down the steep staircase to the beach. You can watch the various hues of the ocean including a deep sea green which is due to the local seaweed that the farmers grow in the region. It is best to arrive at the beach in the afternoon to make the best of the tide for swimming or surfing. A steep descent of 300 steps down a limestone cliff later you will set your eyes on the most pristine stretch of white sand beach with clear waters. 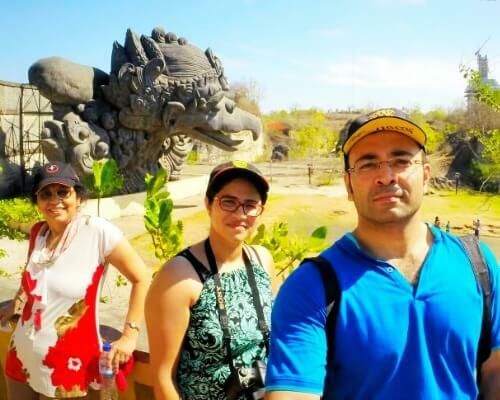 The Green Bowl Beach is one of the nice beaches near Nusa Dua and is probably called so due to the emerald green plant-covered cliff that juts out on the ocean at the shore. 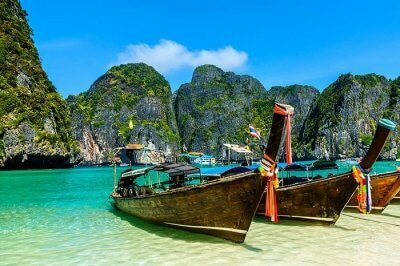 Two caves have shrines within them and nicely frame the beautiful beach in photographs. It is not very touristy, and you will find surfers waiting for the swell! Just check the tide before you go as during high tide the beach itself may be hidden underwater. Melasti Beach has some of the clearest waters in Indonesia, and the reefs near the beach make for a beautiful turquoise gradient. The road down to Melasti Beach winds down the towering limestone cliffs that hide the beach from the main road. You can access the beach on bikes, and some of the cliff heads make for great viewpoints to take photographs. It’s a superb place to stick around for sunset, and there are a lot of warungs (local restaurants) in the area to munch on some local delicacies. 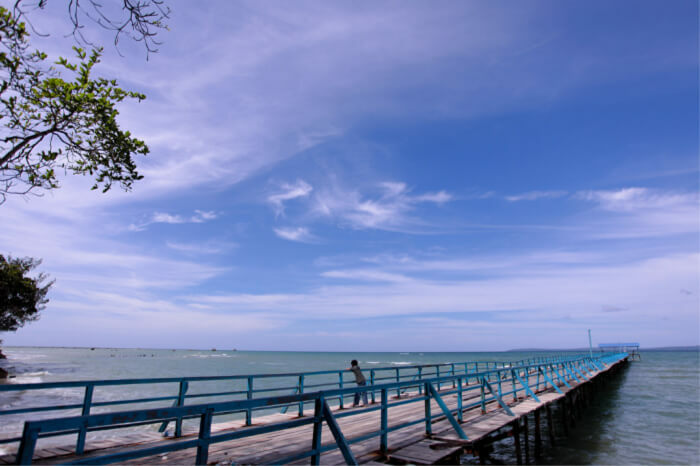 The Jimbaran Beach facing the Jimbaran Bay is one of the longest beaches in Bali and stretches almost 4 KM in a long arc. 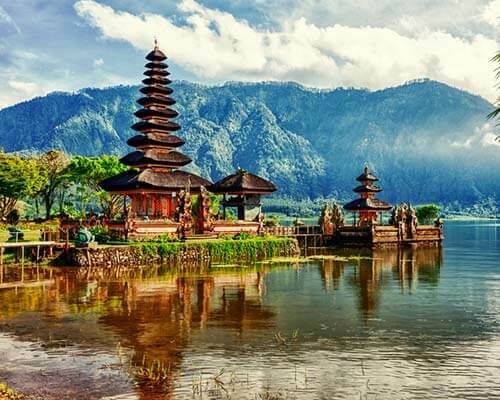 It is situated on the isthmus connecting the Bali mainland and the Bukit Peninsula which includes Nusa Dua and Uluwatu. 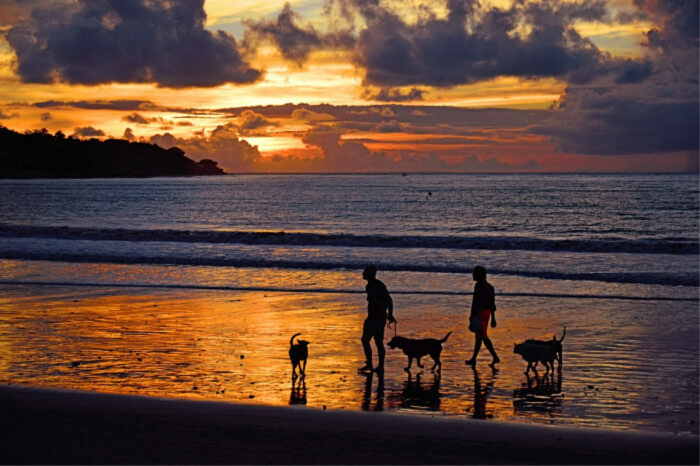 Jimbaran is one of the best places to watch the sunset and is a lively place with a variety of restaurants offering fresh seafood. The beach has multiple facilities like sun decks, umbrellas, surfboarding, changing rooms, etc. for swimmers and surfers. 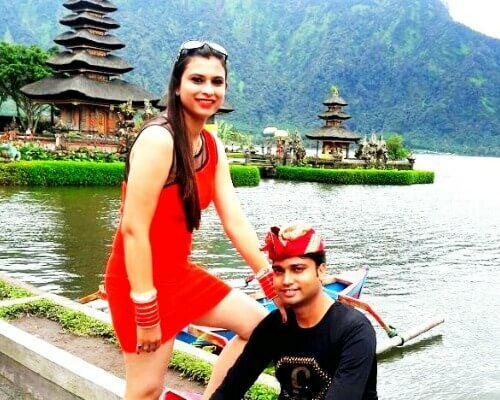 Tegal Wangi Beach is simply exotic! The beach is indeed hidden, and it takes a while to find the path to the beach down the cliff. 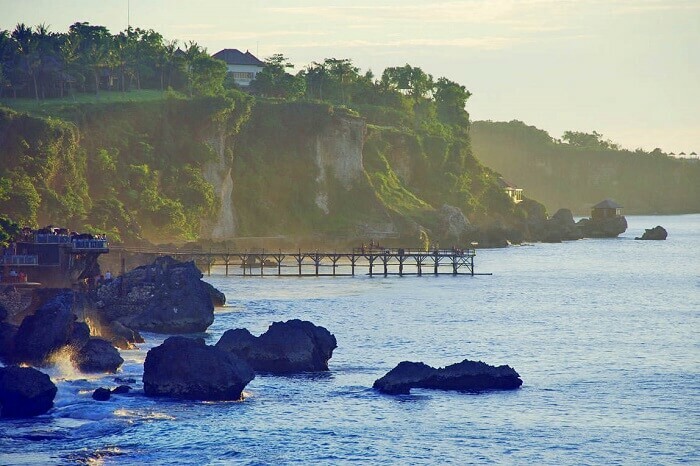 The beach is known to locals for its cliff-top temple called Puru Tegal Wangi but just a short walk down the cliff, and you will come across the most stunning beach. Be there by late afternoon and soak in the rock pools along the beach that act as Jacuzzis! End your outing by watching the pretty sunset with the foreground of the rocky outcrops. Have you started daydreaming about these beaches near Nusa Dua? 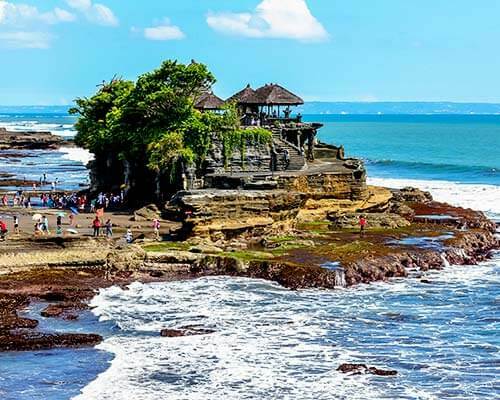 Book your Bali trip with TravelTriangle and enjoy the beauty of these spectacular beaches on your trip!